If you would like to sponsor the team, or an individual who is running with the team, please do today! BUT THERE ARE STILL PLACES! See below for details if you like to join the trip. 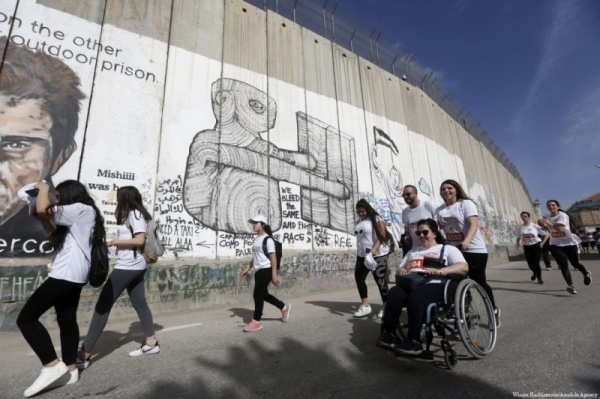 Visit Bethlehem, tour Jerusalem, meet our partners in Beit Jala and Jalazone Refugee Camp, and help to fundraise for children with disabilities across the West Bank. A tour of Jerusalem, one of the most incredible cities in the world. The exceptional chance to visit our partners in Beit Jala and Jalazone Refugee Camp. We are teaming up with Special Pilgrimages for this journey. Click below to read the full itinerary! 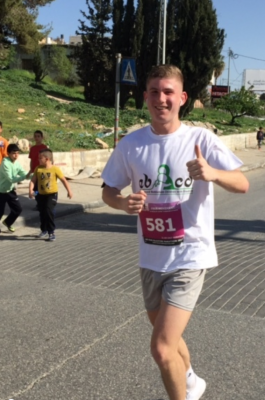 £825 to cover return flights to the UK, full-board accommodation, a tour of Jerusalem, visits to ABCD’s partners in Jalazone and Beit Jala, and airport transfer. All this will be organised for you! See the itinerary for full cost breakdown. The suggested sponsorship for the marathon (5km, 10km, half and full marathon options available) is £500, though of course aim for more if you can! Registration for the marathon is not included in the tour price and must be booked by you. The costs are Marathon $75, Half Marathon $65, 10km $50, 5km $10 and can be booked here. To book a place on the tour, please contact us below and we will send you the appropriate booking forms.